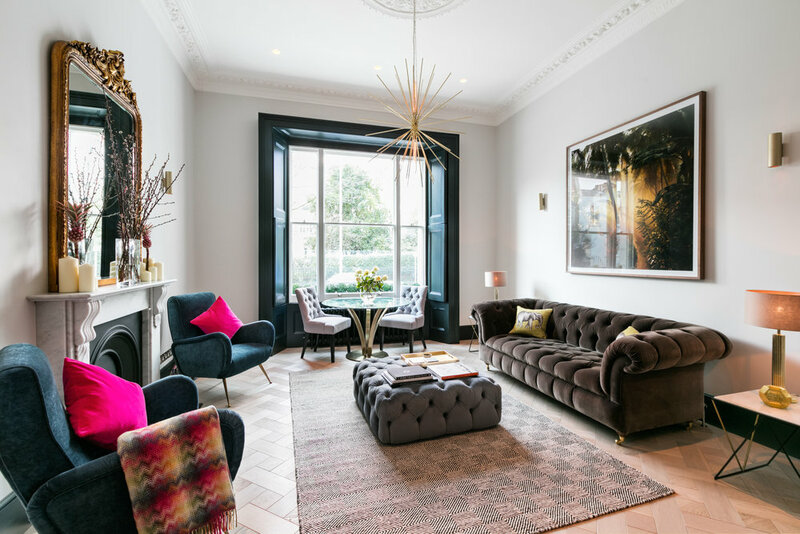 We love to bring together an eclectic mix of styles and in this living room we wanted to inject colour and and pattern. 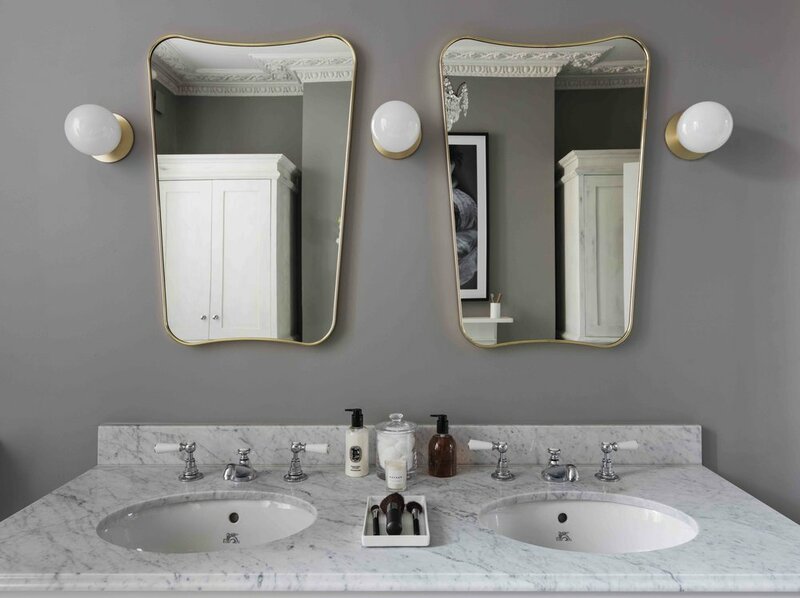 Staying sympathetic to the classic period features we created a fun and playful design. 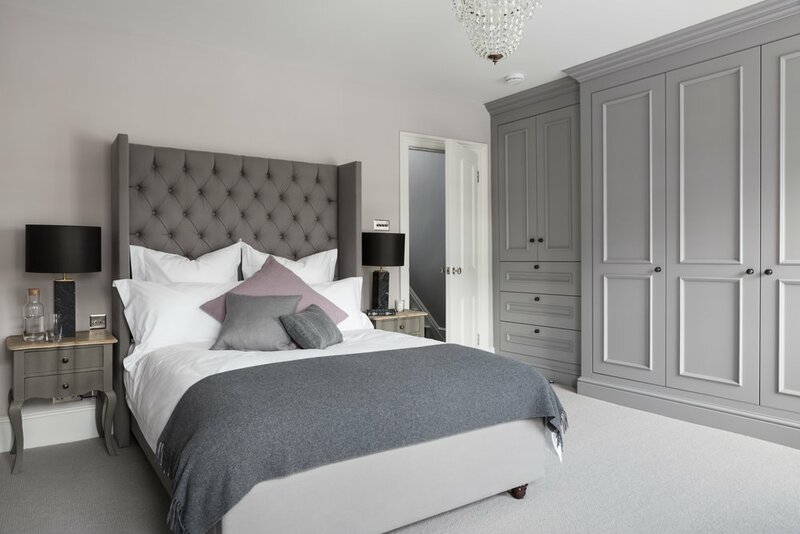 To maximise the layout of this bedroom we decided to build a headboard over the chimney breast and create a feature . The elegant proportions of this room were highlighted and we restored the original cornicing and ceiling rose. Although functional we believe bathrooms should still be a place where design and beauty can be expressed. Often the smallest room in the house can be a place where we take the bravest design choices. 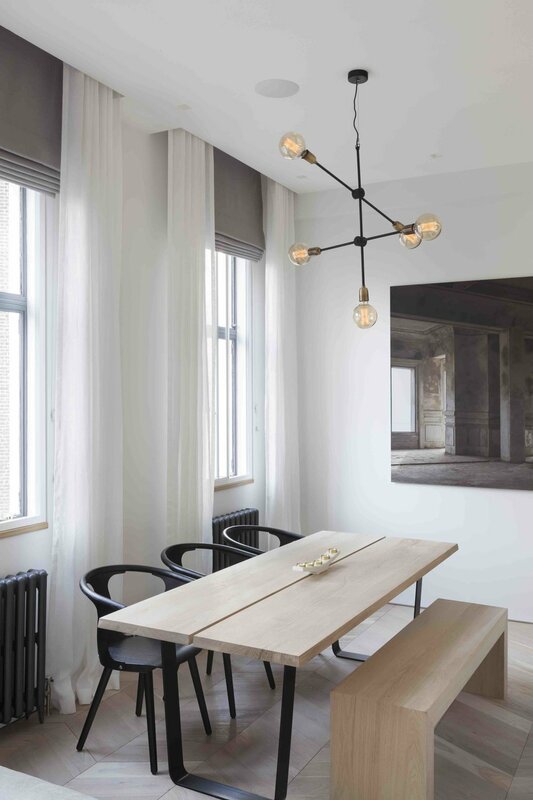 With this apartment we took inspiration from the industrial outlook and created a New York loft meets Soho art gallery space. 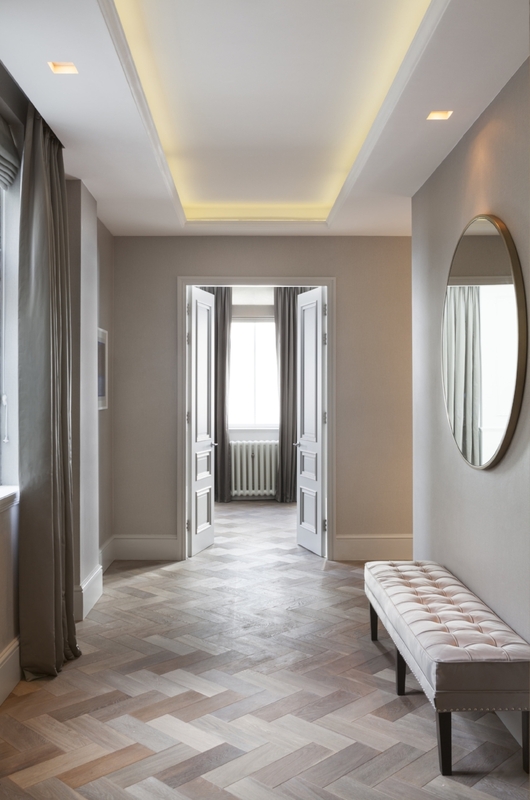 The high ceilings gave great proportions which we maximised with recessed blinds and long linen curtains. The whole apartment had amazing volume and to emphasize this we used large scale furniture and lighting. The artwork was especially important and each piece was commissioned for the exact space in which it is hung. The piece seen here is from an abandoned Casino in Cambodia and reflects the sense of scale in the room. 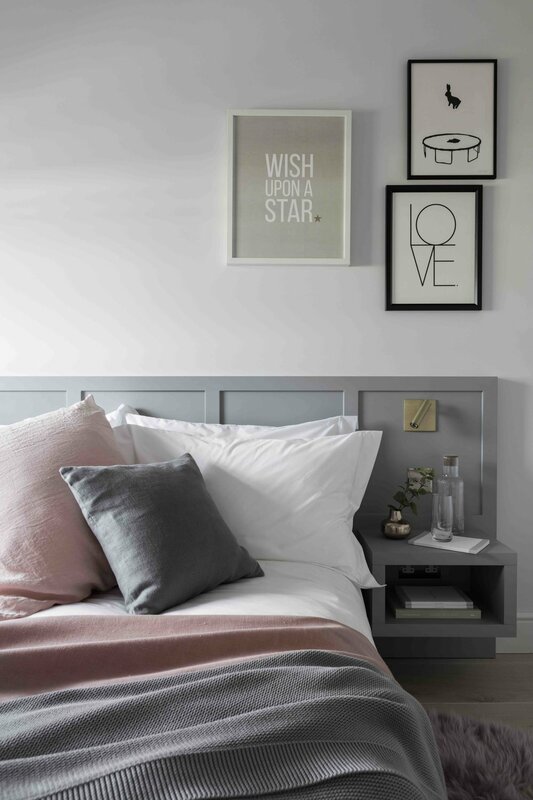 Onslow gardens was a great first project, a small two bedroom property situated on a pretty garden square. The internal works where fairly basic, we removed a wall and ceiling to open up the kitchen and create a open plan living area. The brief was to create a home for young professionals that would be working long hours and would be eating out regularly or perhaps as a pied-à-terre for a family downsizing. This property had very little in the way of original features so we decided to add some features to create a traditional looking classic living space. The wall panels were added and a beautiful marble fireplace creates a central focal point.